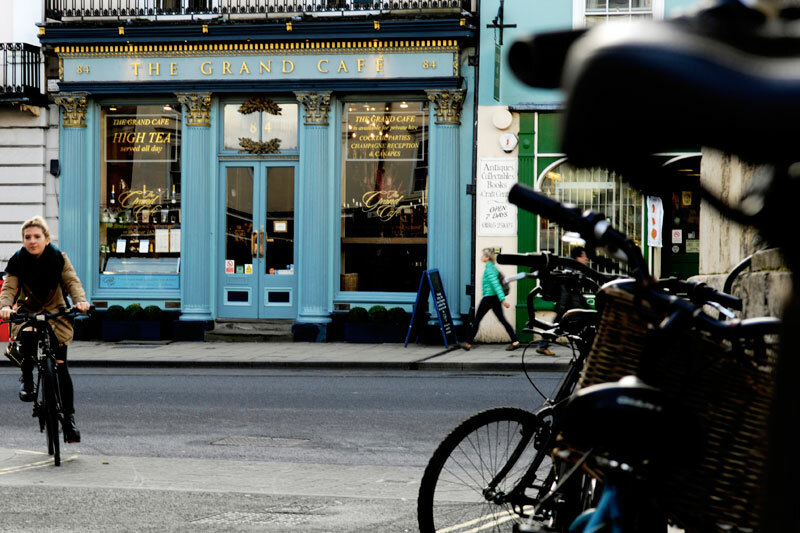 The Grand Café at no.84 is housed in a stunning Grade II listed building. The history of this building and its neighbours is quite fascinating. Over the years, the site has been a Coffee Shop, an Inn , an Hotel, a Grocer’s Shop, a Co-op and a Post Office. The Grand Café as it is now was established in the mid 1990’s. 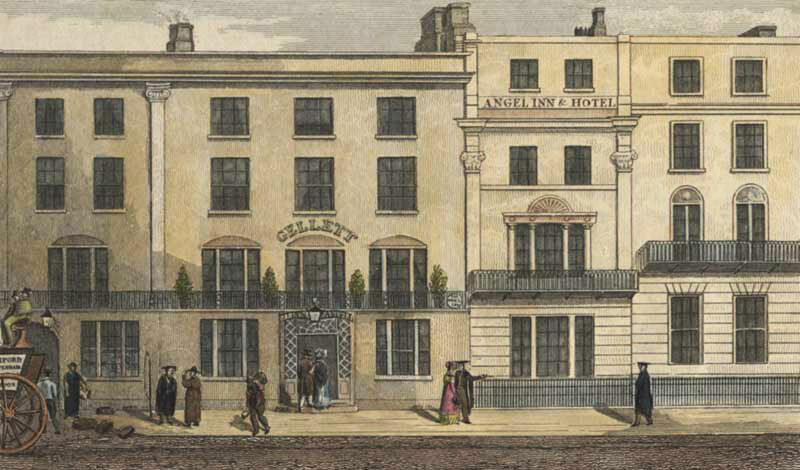 A number of distinguished guests stayed at “The Angel” including Christian II of Denmark who stayed in 1768 and Queen Adelaide, consort to William IV stayed here in 1835 and was made most comfortable in – “this excellent house”. The hotel finally closed its doors in 1866 when the lease was sold to local shopkeeper Frances Thomas Cooper; he sublet no.83 and ran his grocery business from no. 84. 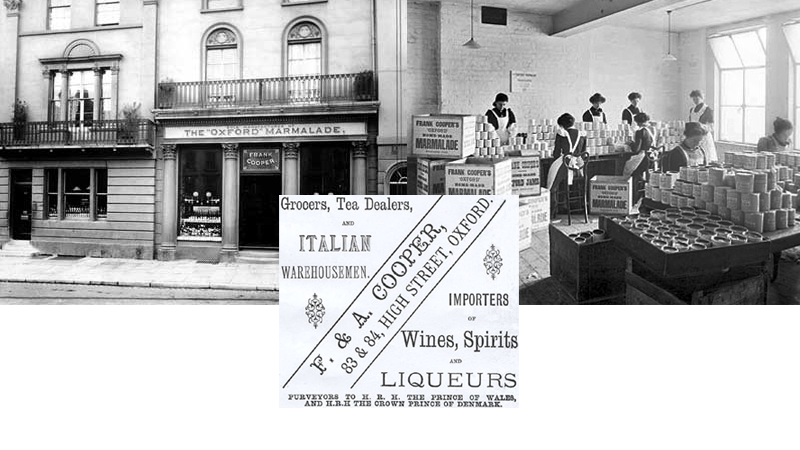 In 1867, his son Frank Cooper inherited the family business and expanded the shop combining both 83 & 84. In 1874, his wife Sarah Jane had been making marmalade in the family kitchen. With a surfeit made, Sarah Jane decided to display it in the shop and before long, all the marmalade had sold out! Word of the product’s excellence soon spread and ‘The Oxford Marmalade’ soon became the top selling item for the business. In 1900 – Frank Cooper opened the famous Jam Factory in Park End Street – the building still proudly stands today. The shop at no.84 remained open until 1919. In 1919, Twining Brothers Grocers took over the shop premises until 1939 when T. Pritchard Ironmongers moved in for 2 years. The Co-op moved in with a general store and Café in 1945 until The Post Office took over until closing down in 1984. In 1984, the now highly successful Frank Cooper set up a shop and museum to showcase his globally celebrated Marmalade. In 1990 the English Teddy Bear Company occupied the premises until 1997 when The Grand Café was established…..